My boys started school this week, which means Sophie is my cute little shadow that talks my ears off all day long. I’m going to miss her so much next year when she’s in school…it hurts my heart just to think about it! 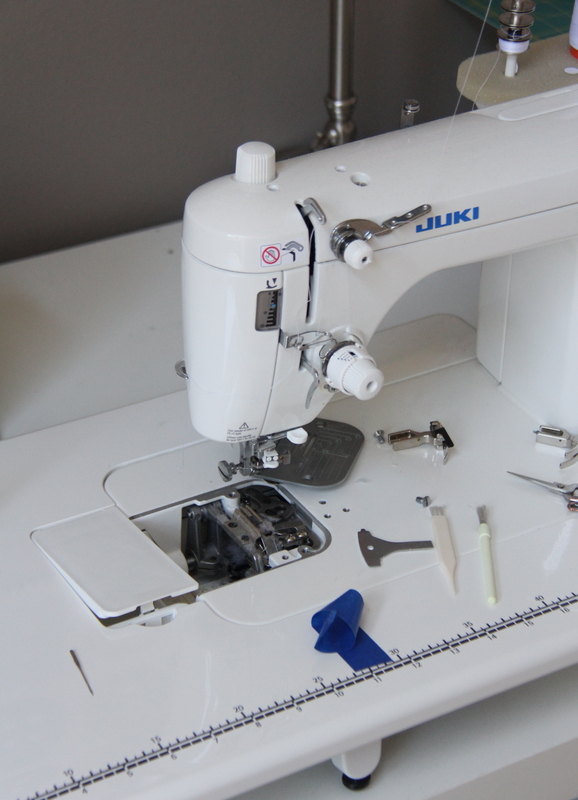 I cleaned out my Juki yesterday for the first time in way too long. I could have knit a sweater with all the fuzz under those feed dogs! Yuuuuck. 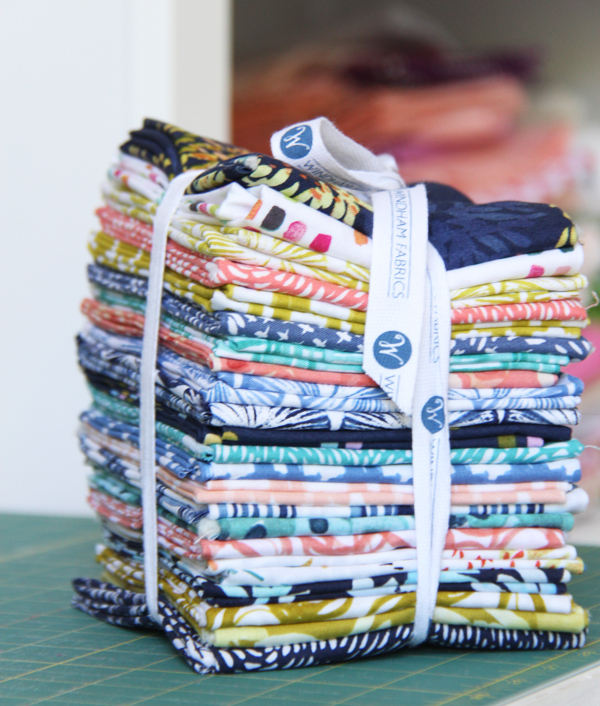 I’ve had this pretty bundle of Aria by Kelly Ventura for Windham Fabrics on my cutting table this week while I decide how to use it. It’s such a unique collection and I love these colors…especially the Citron. I think this one comes out in December to stores. Jane is 3 months old! She’s such a little light in our lives. Her hair just keeps growing and growing! It matches her personality perfectly. 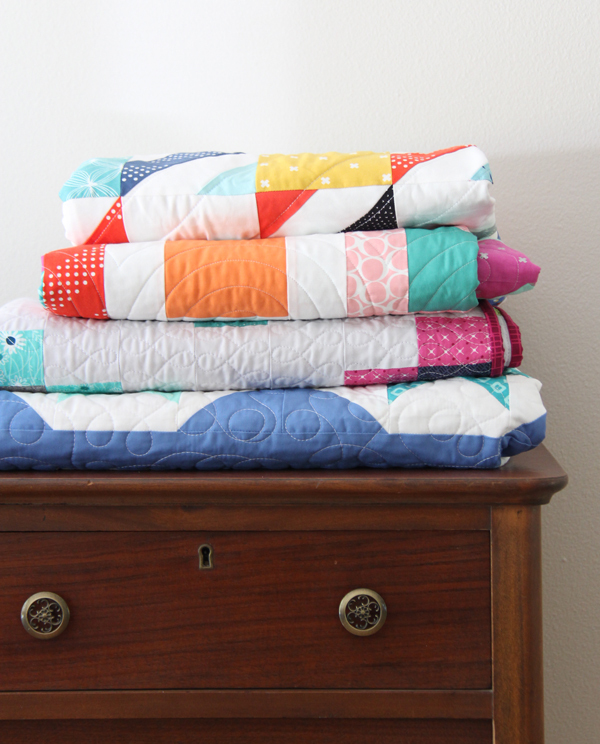 I have some new patterns to share with you (not the top quilt in the photo)! I’ve only been working on them since…oh, January. So glad to have them done done done. I’ll share these next week after the long weekend as well as a long overdue sale. Happy Friday! Sophie’s smile is priceless – a little sunshine! 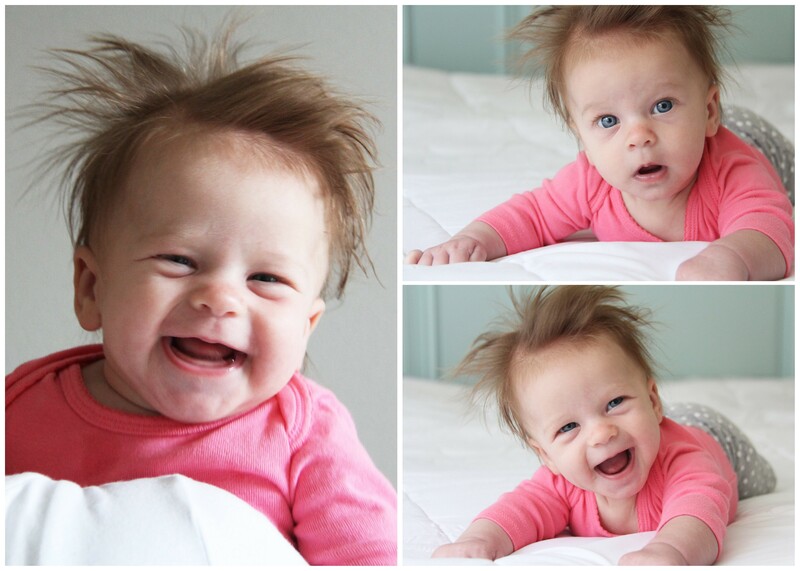 Little Jane is so cute – such a cheerful little tyke! Enjoy them – those special days are numbered. Looking forward to your new quilt patterns :)! Happy Friday to you too Allison and have a wonderful weekend with your family!!! Love your girls , such cuties both of them and look forward to seeing your new patterns!! Those girls!!! Could they be any cuter??? Lucky you!! They are both precious! Congrats on the new patterns coming out! Jane and Sophie are so ADORABLE! 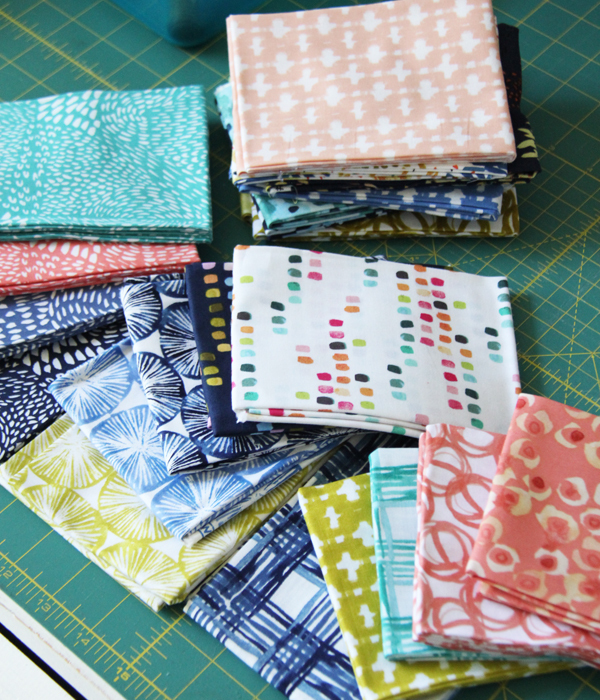 Can hardly wait to see your quilts! Have a wonderful weekend. Just love your Jane’s crazy hair, my niece had white hair just like that as a baby, gorgeous. Cutest baby ever!!!!! How can you not love that smile and hair!! 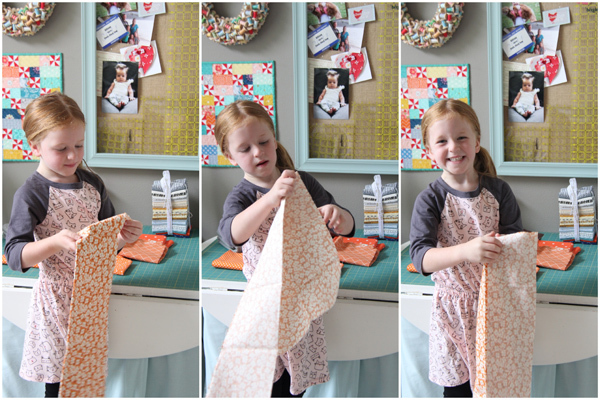 Merry Christmas…..I used the tutorial for Summer Slice and have made 2 quilts for my family for Christmas presents. Different fabric with different looks. I made them queen size. Such an easy and quick pattern to go big on. Thanks so much for the “early” shopping encouragement! My Annie had hair like Jane’s, it stood up all over her head. She is a cutie for sure and your little helper Sophie is precious too. Sophie all of a sudden grew up! She’s so pretty – and Jane…..absolutely adorable! Still love the hair! My third child started kindergarten this year but I am like you and have one more baby still at home. It passes so quickly and you’ve got to carpe the hell out of your diem (to quote my husband). Can’t wait to see what patterns you’ve come up with! Your designs are always so fresh and pretty! Good to get the machine cleaned out, I need to do that too. Always love new patterns from you, but nothing could beat pics of those two girls! They’re both just adorable in their own ways! You’re one lucky mamma! Even boys must be proud to have little sisters like these! Your girls are beautiful! It’s been fun watching Sophie grow up. And yippee for new patterns!! Thanks for blogging. Your’s is one of my absolute favorites! Your girls are beautiful!! Looking forward to your new patterns. What beautiful girls you have! Jane’s hair is adorable! Can’t wait for your sale! Have a nice long weekend! And all you did was make an entire person. Ha! Can you even imagine how long it would take scientists to do this in a lab? We know certain animals have been cloned but no one has said how many years or how many scientists and lab workers it took to do this. Your body did this in nine months. She turned out to be a perfect product, too! My daughter had hair just like that!!! I love it! And your ‘shadow’ is a doll! How can Sophie be so big already??? When I saw the thumbnail, I was like “wasn’t she a baby yesterday?” ! !